Bella is a three-year-old black Labradoodle who has been professionally trained as a therapy dog by Lorenzo’s Dog Training Team. A Labradoodle is a cross between a Labrador Retriever and a Standard Poodle. Her “parents” are Robert and Debbie Hunsaker, whose family owns Southern Cremations & Funerals at Cheatham Hill. Having seen studies and heard presentations about how helpful a grief therapy dog can be to families in crisis or in the grieving process, they decided to see if Bella had the aptitude and personality for that role. Since Bella has a sweet temperament and is smart and sociable, she took to her new "job" quickly as a grief therapy dog and now loves to go to work with Robert. Come in to the funeral home on almost any weekday and you'll find Bella in her work vest, eager to meet you and provide comfort, if desired, on your terms. Many individuals have experienced a reduction in stress and grief just by petting her, or having her sit in the room where funeral arrangements are being made. She has brought a smile to the faces of many of our families - sometimes for the first time in days. 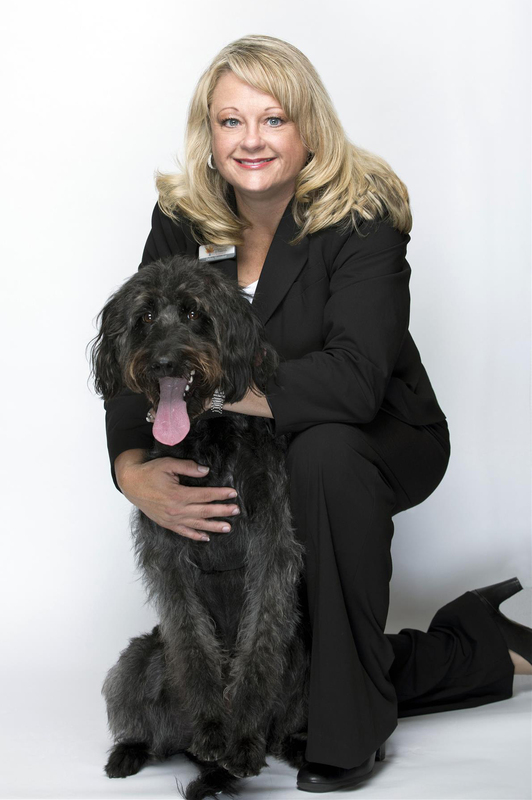 Having a grief therapy dog present at a funeral home is a growing national trend. In a 2017 Consumer Awareness and Preferences Study conducted by the National Funeral Directors Association, a survey revealed that 34.5% of respondents indicated that they are extremely interested or very interested in having a therapy dog present at a memorial or funeral service.